JFA training specialists Catherine Wurts and Rebecca Haschke participated in the March for Life JFA-style: they turned it into an opportunity to teach pro-life advocates to dialogue! 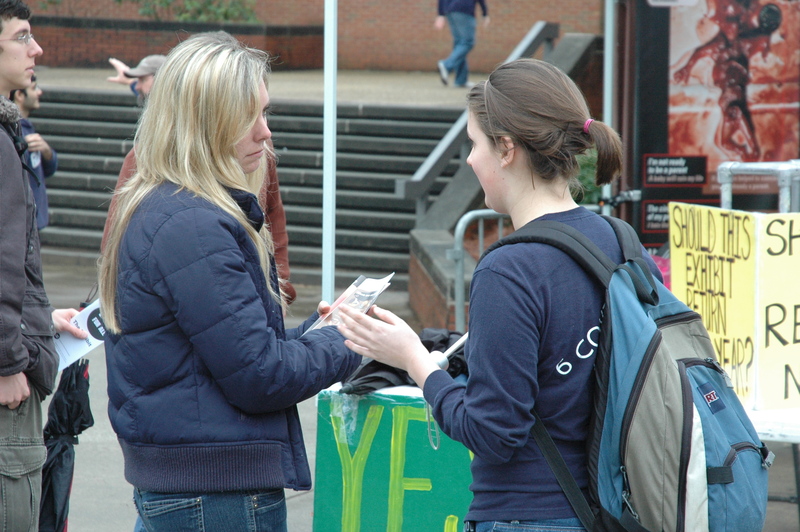 See "JFA Equips 263 at the March for Life" for more, including what happened to one student when she returned home. JFA's training team mentored 44 students and one teacher from St. Mary's Catholic High School and Bourgade Catholic High School in the Phoenix area. All but a few of these students committed to create a conversation about abortion in their everyday lives after volunteering with us during the ASU campus outreach. See "Almost 100% Commit to Repeat Work after Arizona Outreach" for quotes and pics. JFA's January Impact Report, Charity on the Metro, tells the classic story of how a new JFA volunteer used her new skills immediately in an everyday-life situation on the MARTA in Atlanta. In my February letter, I challenged myself, our staff, and our supporters to set aside time to pray each day for JFA. You can take the challenge, too! The letter includes seven specific prayer requests for JFA, including one of JFA's 2015 goals that I feel is well beyond our abilities. Projects like these help us remember that we are especially in need of God's help. 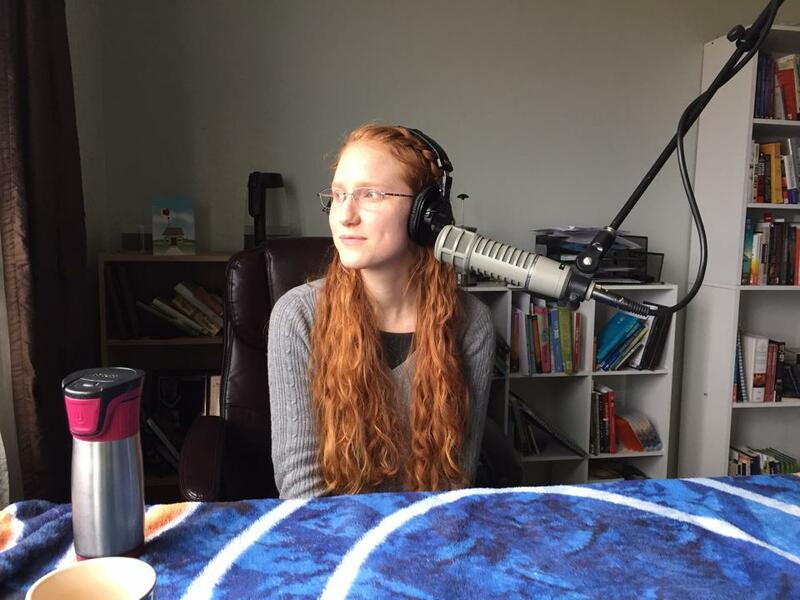 JFA's Jordan Newhouse and I recently appeared on Chris Fabry Live on the Moody Radio Network. You can listen to a recording of the show here. 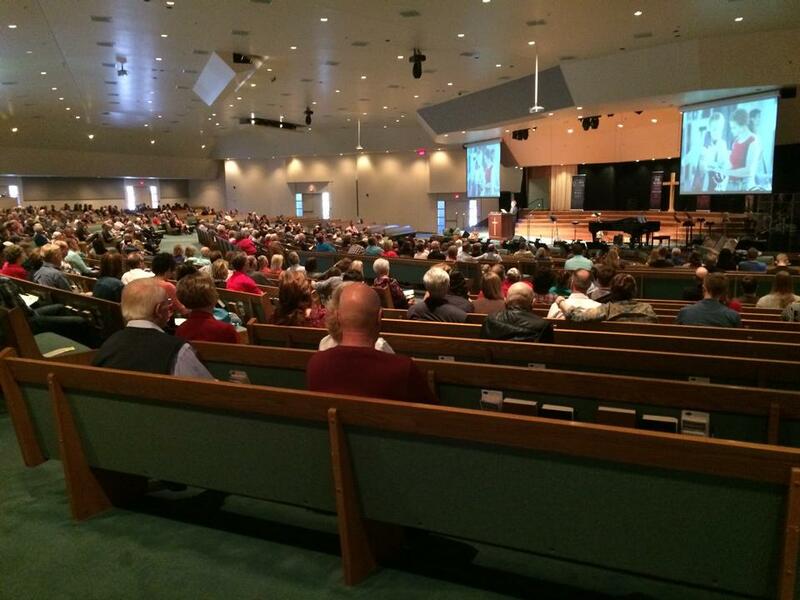 I was privileged to deliver the sermon to Christ Community Church in Tucson, Arizona earlier this month. See this previous post to listen to the entire sermon or brief segments from the sermon (including the story of one big failure that helped me to learn to listen and the one-minute challenge from a pro-choice advocate). Older Post"Better than Saying Nothing"